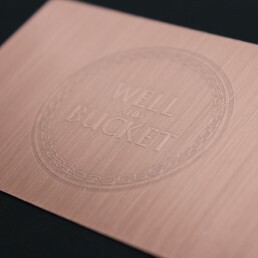 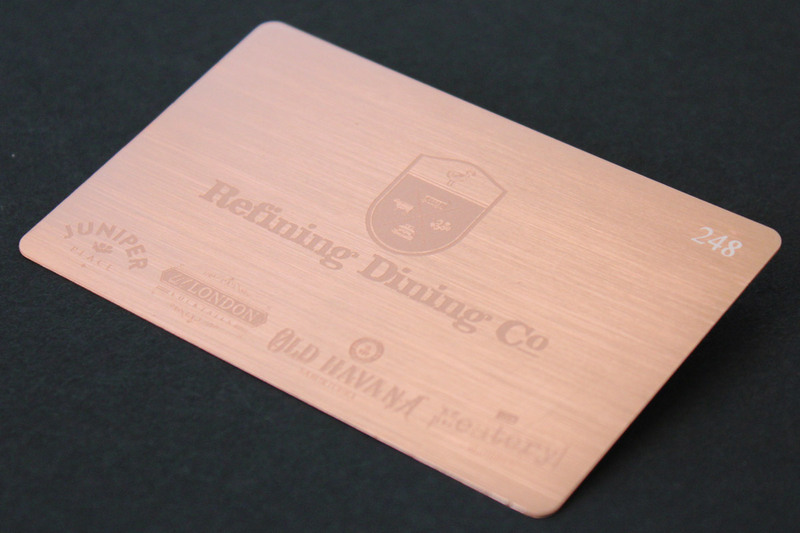 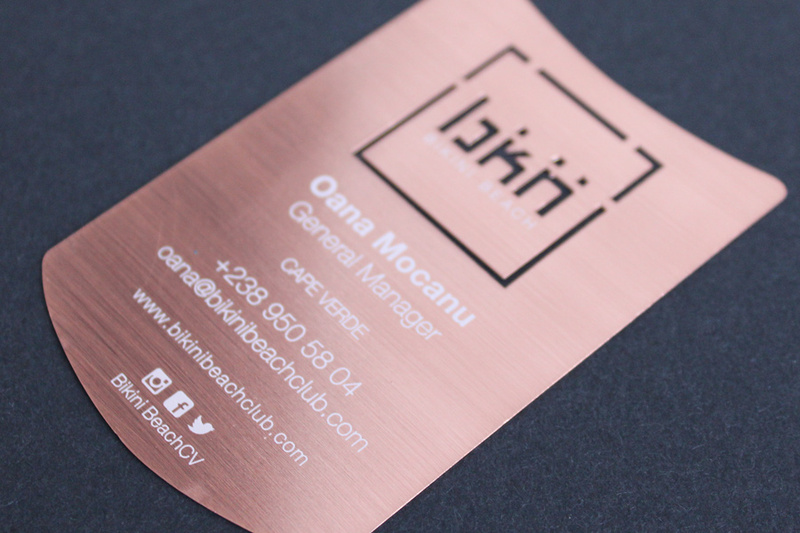 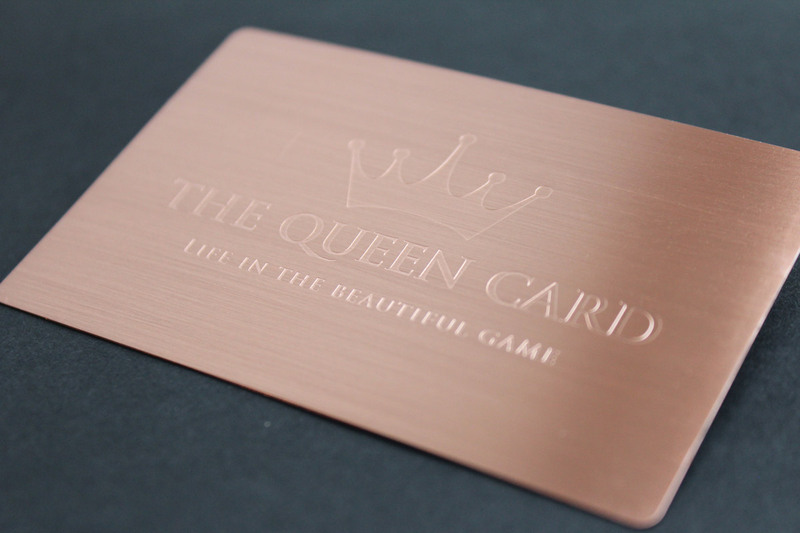 Simple yet elegant – our brushed rose gold cards are the perfect metal business card or membership card. 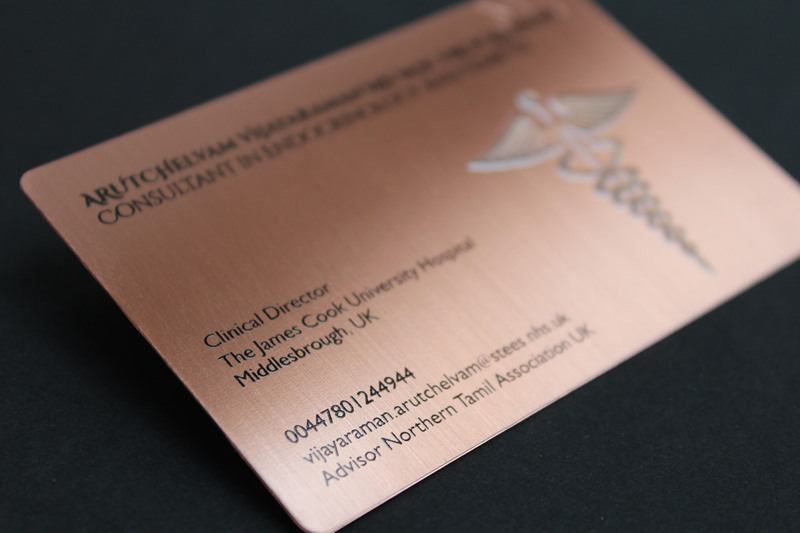 Business cards don’t just provide your details; they give an important first impression of you and your business. 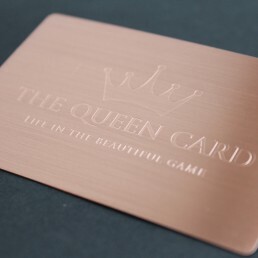 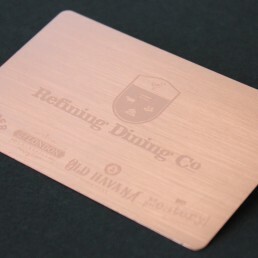 Our brushed rose gold cards do ensure you leave a lasting impression. 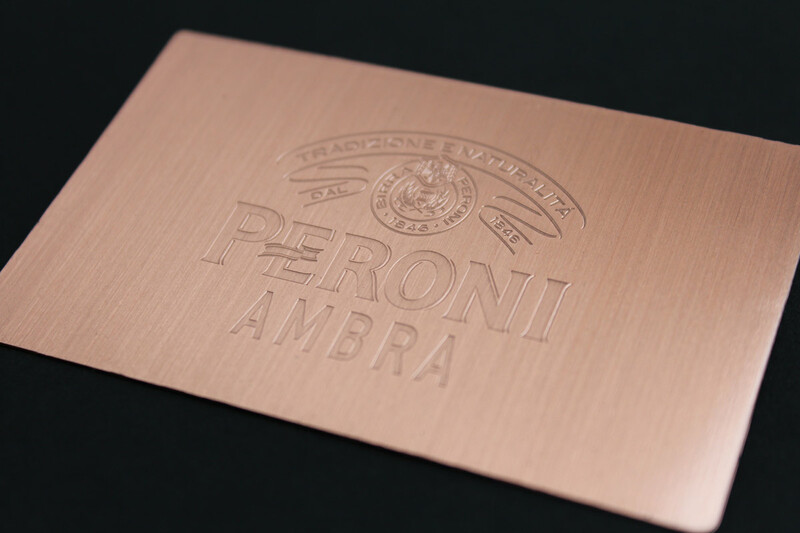 This elegant style is achieved with a special tool that leaves fine lines, creating a dull (instead of a shiny) finish. 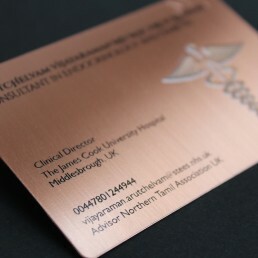 The finish is dark enough to provide contrast with white silk printed text; dark colours also look fantastic. 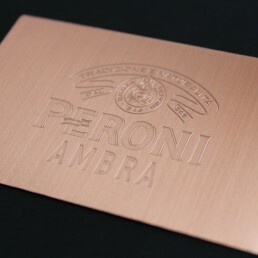 More subtle details or logos can be etched, as you can see in the photos. 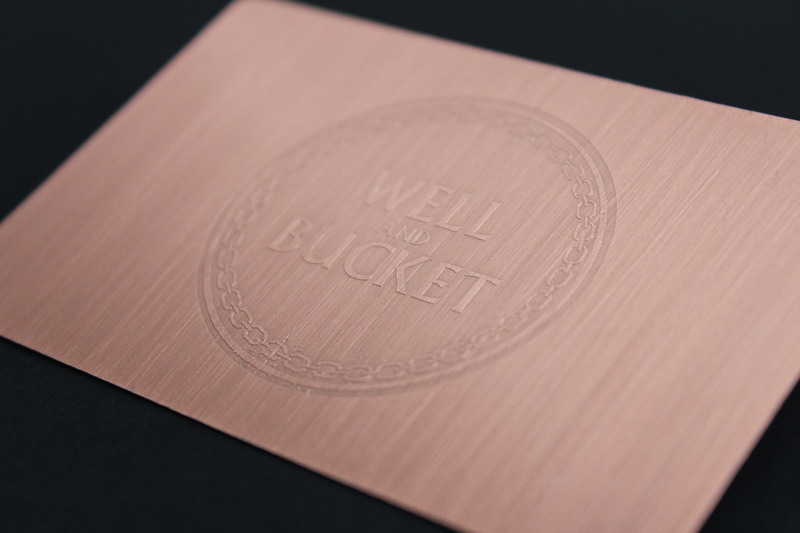 Like our other styles, we can incorporate a cut through element or base your design on a custom shape. 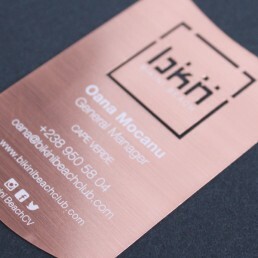 This is certainly a style where less is more, we’ll try to keep the design simple to create a business card that will seriously impress your potential customers. 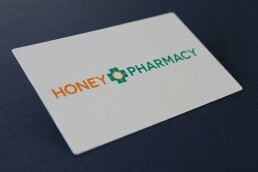 You can read more about the available features here.